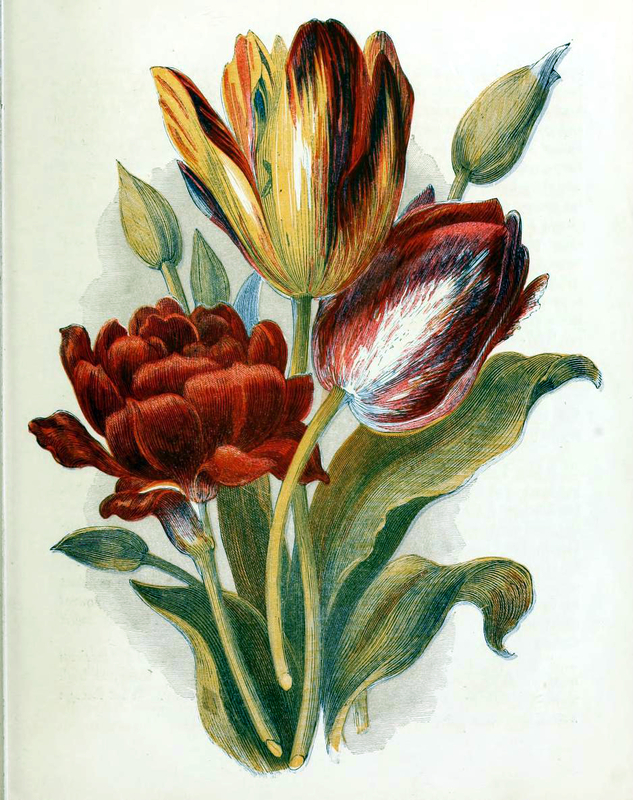 This is a free vintage illustration of country flowers and tulips from an antique children’s book found in the public domain. This vintage illustration was curated and edited from the antique book, “A Little Girl’s Visit to a Country Garden.” This charming story follows a little girl from the city as she visits a blooming country garden with her Mother. These antique graphics make wonderful material for Mothers Day crafts and marketing! You may use this image for free in your personal and commercial work without permission. A link back to FreeVintageIllustrations.com is required if you share or use this image on your blog, website, or social media.